In the previous post I explained how to setup the Windows environmental variable PATH so you can run the terraform executable from any path. 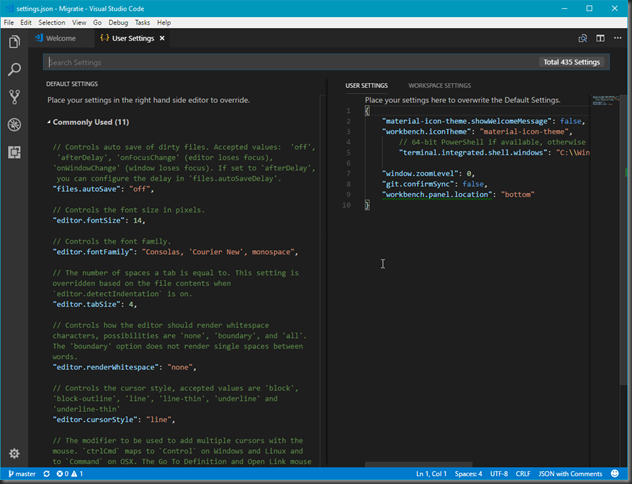 In this post I will explain how I set up my favorite text file editor. 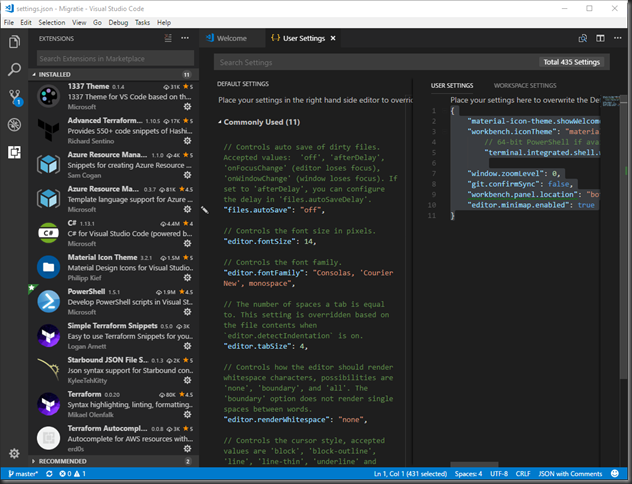 In the last year or so I came to fall in love with Microsoft Visual Studio Code. It runs on Windows, macOS and Linux, is very versatile and got al kind of neat features. At least try it and decide for yourself. You can download the installation media here. On the left side are the Default Settings. You can mess with those, but it’s better to put your custom settings in the user settings. I can recommend Minimap.enabled. This Enables a map in the right side of the editor that shows a small version of the file you are editing. This is usefull navigating large text files. You can type in these values at the ‘Search in Extensions Marketplace‘ field. 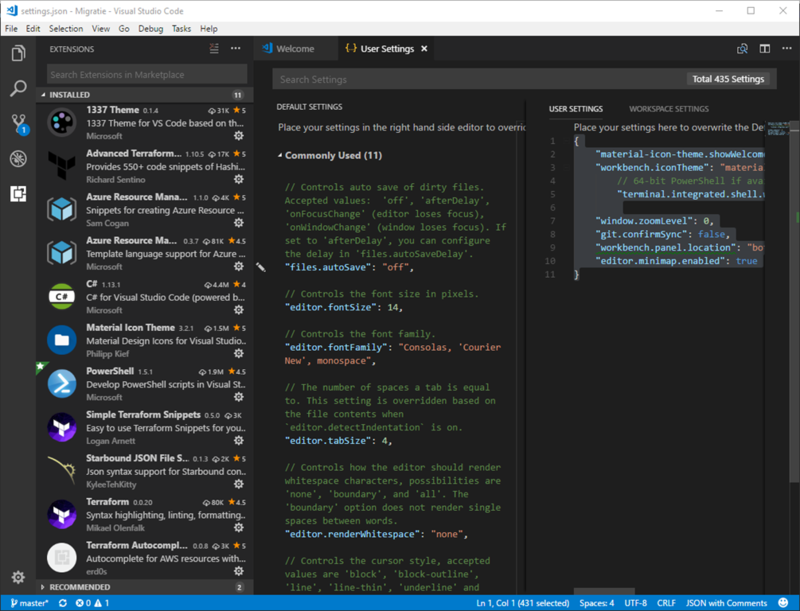 Visual Studio Code will also recommend Extensions based on the files you are working with. But the ones above I find great for editing Terraform files. You van start the console by typing Ctrl+~. In windows this should default to PowerShell. This can also be set to Bash for instance. 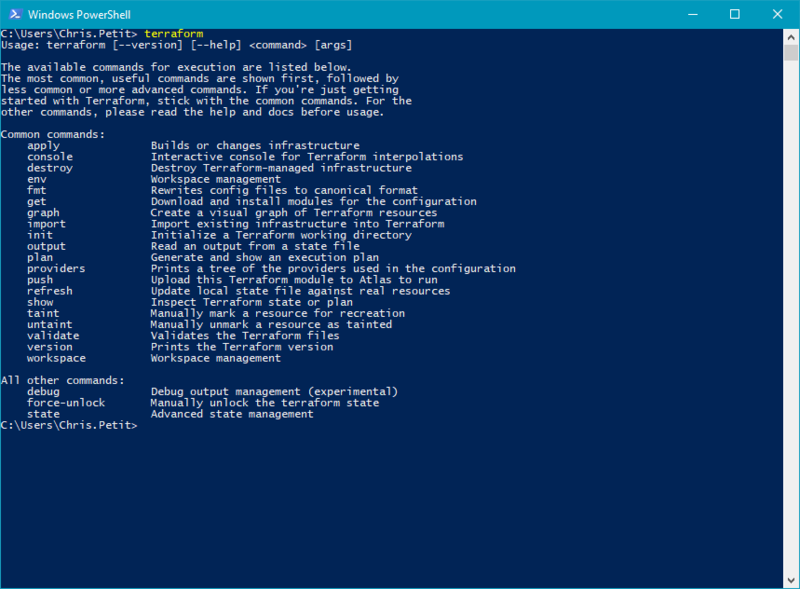 We’ll keep it on PowerShell for now. 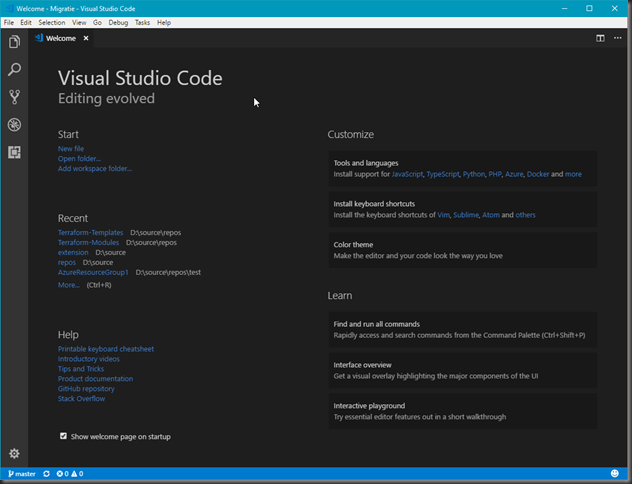 Visuals Studio Code also supports the running of selected code by pressing F8. The entire code can be executed by pressing F5. 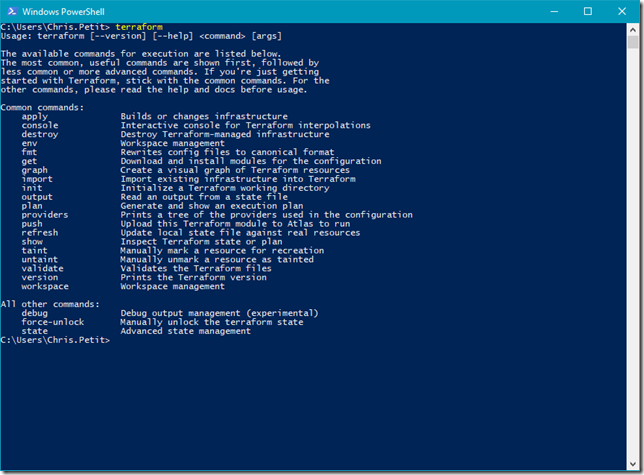 Keep in mind the code execution works when running PowerShell cmdlets. More keyboard shortcuts are found here. Ctrl+Shift+E opens the explorer tab. In this tab you can either open files or entire folders. In the case of the later the contents of the entire folder will be displayed. This is useful when editing multiple files simultaneously. 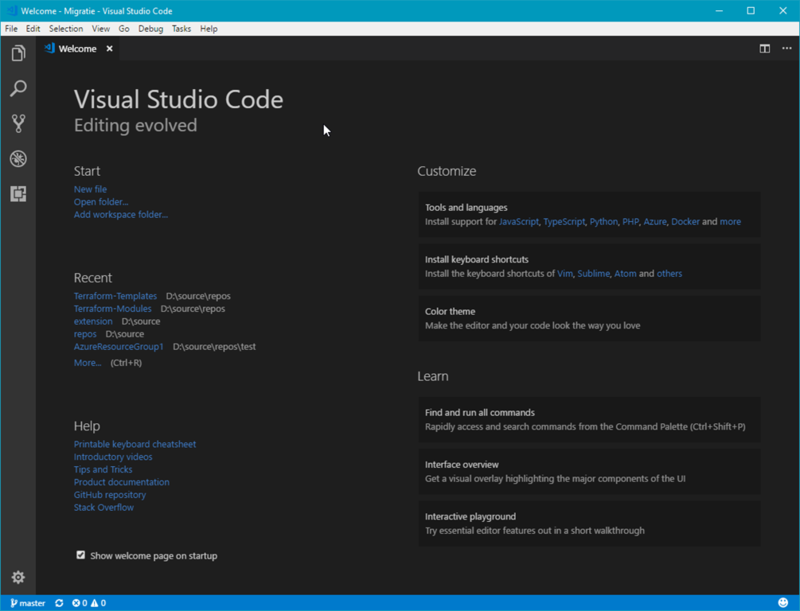 In fact, Visual Studio Code even adds an ‘Open with Code’ feature to the context menu (right-click). This will work for folders and Files. 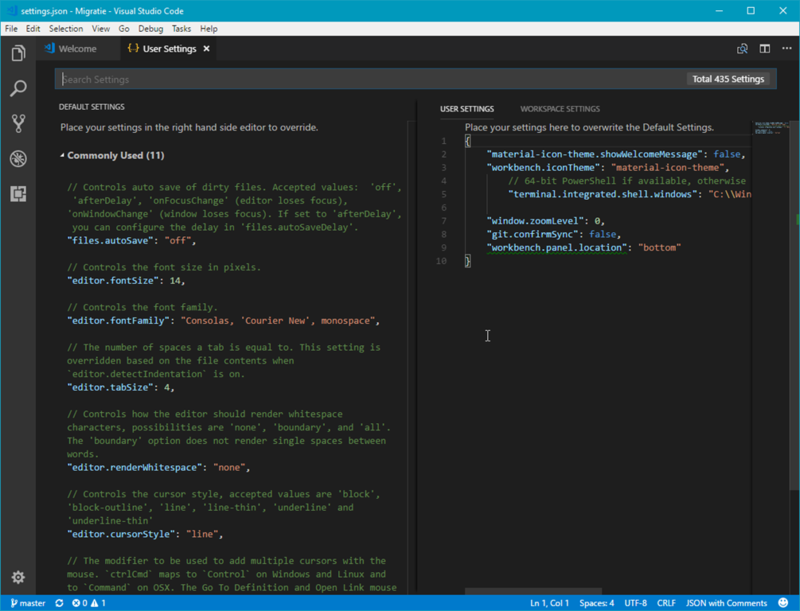 Download Visual Studio Code, it’s great for Terraform and great for scripting in general.